An integration of various modalities are generally used during a healing session. Physical Contact is not required because the practitioner is working on the bioplasmic or energy body (aura) and not directly on the physical body. The energy body absorbs the life energy and distributes it throughout the physical body to muscles, organs, glands, etc. ** PLEASE NOTE THAT PRANIC PSYCHOTHERAPY IS NOT IN ANY WAY A FORM OF TRADITIONAL PSYCHOTHERAPY THAT IS CONDUCTED BY A TRAINED, LICENSED PSYCHIATRIST OR PSYCHOTHERAPIST. PRANIC PSYCHOTHERAPY is the application of Pranic Healing® techniques to promote healing and alleviating of emotional and mental imbalances. Negative Ions - elevate cellular activity, communication, and purification at the ion channel level, and help to remove toxins. ** I am now a Biomat official distributor and can place orders for your personal biomat purchase! Uses LED technology to help the body decrease inflammation, move lymph, and ease muscle fatigue. Great for overall relaxation or to treat specific injuries, aches, and pains. Diabetic patients and clients with peripheral neuropathy typically may experience an increase in sensation to pressure and hot/cold. This singing bowl is tuned to A# and targets the pineal gland chakra in the brain. The pineal gland helps regulate human thoughts and reactions. 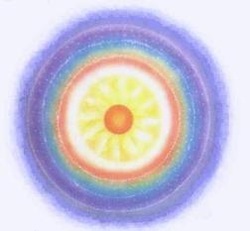 It is known as the "seat of illumination, intuition and cosmic consciousness" and allows us to look inward and deeply ponder our actions and reactions. This introversion is fundamental for self-realization as it shifts our attention from the outer world to the inner. When the external world disappears, our circle of consciousness diminishes because our primary attention is focused upon our inner self. It is this inner attention that magnetizes "spiritual light" into the pineal gland. Quartz Crystal Singing Bowls are made from over 99.9 percent pure quartz crystal, a naturally occurring element. Because our bodies are also composed of a crystalline structure, using Quartz Crystal Singing Bowls for healing and meditation allows us to respond more quickly and favorably to the sound as therapy. This is why crystals are a key element in many different holistic healing practices.